The Penticton Trade and Convention Centre, since 1965, has played host to thousands of Okanagan events. The convention centre has built a reputation on superb hospitality, phenomenal food, versatility and overall value. Plus, your delegates will rejoice when you pick Penticton, one of Huffington Post’s “Top 10 World Travel Destinations.” Did we mention beaches?! There's over 5 km of public sandy beaches. 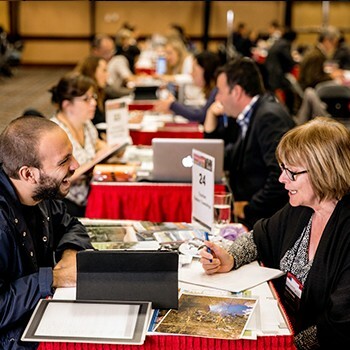 Delegates will jump on the opportunity to experience conventions in the Okanagan country and stroll some of TripAdvisor’s top Beaches in Canada, sip and swirl at the wineries, craft breweries and distilleries. Plan with us, we’d love to have you! We service all market segments, including conventions and conferences, meetings, banquets, consumer shows and special events. With six air walls, the 60,000 sq. 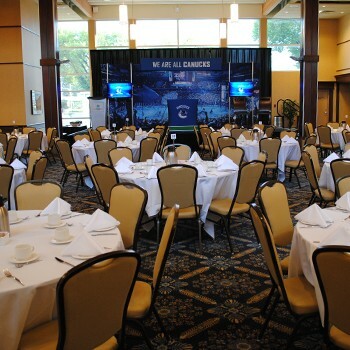 ft. of flexible space can be contoured to fit your event’s needs. The two ballrooms can be divided into four rooms or opened into 28,731 sq. 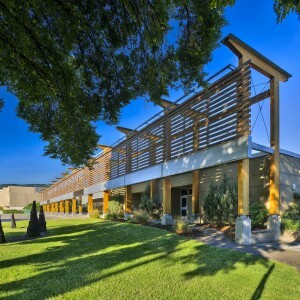 ft. of pillar-free meeting space or expo space. Conventions sized 150-650 with a trade show component, work really well in our venue. They're a perfect fit, providing ample pre-function space for networking, receptions and registration. 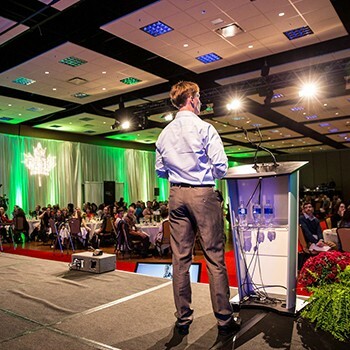 The divisible ballrooms divide seamlessly for main plenaries, concurrent breakouts, meal service and trade show. Our surrounding meetings rooms offer the extra space for ad-hoc meeting rooms, staff offices, and additional breakout spaces. Over 900 hotel rooms are within a five-minute walk of the convention centre, and new builds are in progress. Entirely on ground level, load in and access is as easy as Okanagan Cherry Pie. For delegates, there are public entrances. For exhibitors and suppliers, three loading bay doors on the backside of the building ensure seamless load in, out and access. There are over 600 complimentary parking spaces available for delegates, and exhibitors surrounding the complex. As the Okanagan’s only full-service convention centre, our in-house catering team creates menus based on clients’ needs, including budget, size, theme and dietary needs. C-3PO chicken with R-2D2 dip was certainly a hit, during a client's Star Wars themed supplier night. Menus can't be and shouldn't be cookie cutter. Meal times bring delegates and attendees together to network and build relationships. It's our job to execute delicious eats, that compliments your event's format, theme and vision.